What does it mean to move an object with the mind? What does it mean to move someone without physical interaction? How can the mind move? What happens if we believe or speculate that we can or in fact we are moving things without physical interaction? Is to influence equal to move? Departing from these questions, a group of performers met for two weeks to shape and present to a public a unique performative object. We invited some objects to work with us. 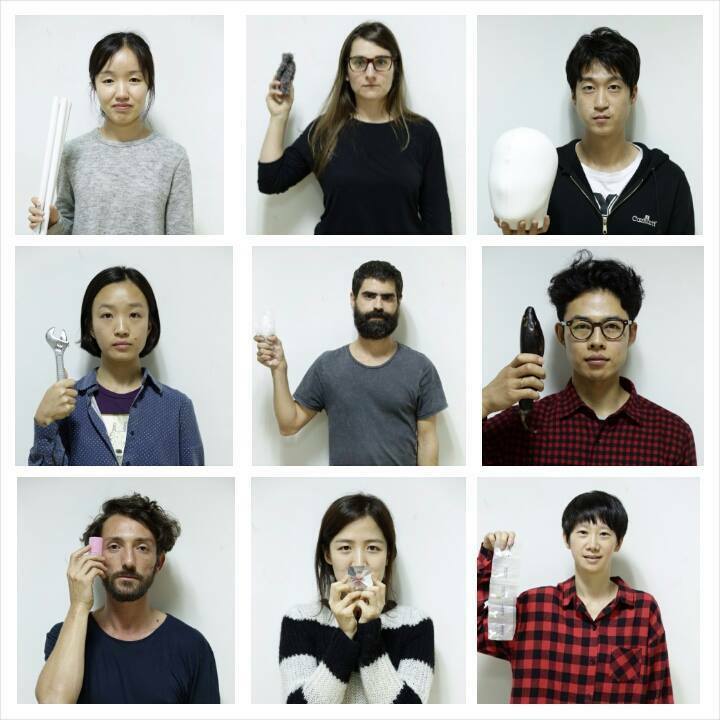 We proposed to the South Korean artists participants to invite objects that could be the materialisation of the impossible paradigm that each triad of words of the list would imply. Each triad enclose a kind of impossibility in the way its three different elements relate to each other. Two elements in each triad relate to one another in a clear oppositional logics, and the third element is meant to traverse/interrupt this binary logics. The concept behind the work is the idea of ‘telekinesis’ or ‘psychokinesis’ (alleged psychic ability allowing a person to influence a physical system without physical interaction: like levitation or moving objects). ''Elbow Mountain Tooth' uses the notions of mind movement, motion of spirit as tools to create choreography in a situation of cultural/language displacement/distance such as South Korea with Korean artists.